Truman State University offers a flat tuition fee for full-time students who take 12 to 17 credit hours per semester. Tuition also includes fees such as your Student Recreation Center and Student Union Fees. The figures listed are for the 2018-2019 academic year. Part-time Students: Part-time students are assessed tuition on a per credit hour basis at $309 in-state and $594.50 out-of-state. Graduate Students: Tuition for students pursuing graduate studies full-time (9 credit hours per semester) is also based on credit hours ($363.50 per hour up to 12 hours for Missouri residents and $629 per hour up to 12 hours for out-of-state students). See more details at Graduate Tuition, Costs and Fees. We understand that you have worked hard to get where you are today. We want to reward you for your efforts. Whether you will be a first-time college student or you are a seasoned Truman upperclassman, scholarships provide assistance in the pursuit of your college degree. Many scholarship opportunities are granted by Truman, but make sure to review the “Other Scholarships” link as well. Grants, like scholarships, do not have to be repaid and are based on information you provide in your Free Application for Federal Student Aid (FAFSA) form. Grant programs include the Federal Supplemental Educational Opportunity Grant, Access Missouri Grant, Pell Grant, Truman Access Grant, and TEACH Grant. Unlike grants and scholarships, loans do need to be repaid upon graduation. Eligibility for loans is based on other aid you may be receiving in the form of scholarships and grants as well as information provided on your FAFSA. Another way you can help fund your education is through the various employment opportunities we offer. Students at Truman participate in, among other things, federal work-study and campus employment. 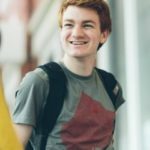 I chose Truman because of the affordability and its academic reputation. I looked at other schools, both public and private, and discovered that Truman is on par academically with so many universities but for a fraction of the cost. I knew that I wanted a stellar education but didn’t want to graduate with thousands of dollars in debt, so Truman fit that mold perfectly.